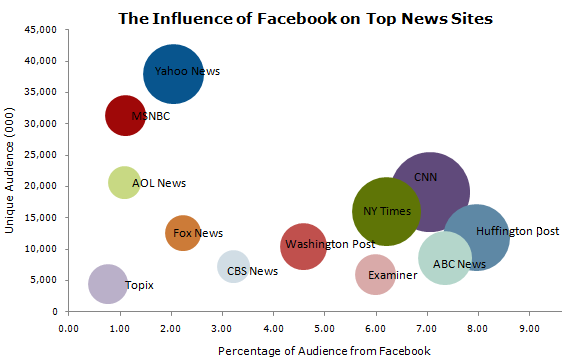 Pew Research Center‘s has published a report today about the Facebook influence upon news readership in which they have mentioned the importance of How Facebook diverting traffic to News reading websites. We have already seen numerous reports point out Facebook’s growing influence upon news readership and Pew Research Center‘s Project for Excellence in Journalism released data showing exactly that. Facebook ranks as the second or third largest driver of traffic to the top five news websites studied by Pew, based on data from Nielsen. 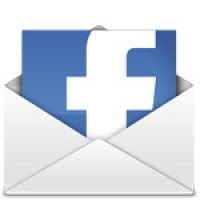 According the Pew Research Center‘s report Facebook has become the massive social networking site in term of diverting traffic to any website rapidly and fast, but one of the top sites for which there was referral data derived at least some of their audience through Facebook. The one exception was Google News, whose content links to other websites. Around six percent of traffic to the Examiner. Roughly seven percent of traffic to CNN. About seven percent of traffic to ABC News. Eight percent of traffic to The Huffington Post. Six percent of traffic to The New York Times.